Chicago, IL—The Presidency and legacy or Barack Obama is turning into a sad chronicle. 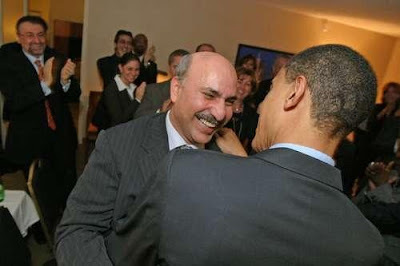 Obama’s parentage and foreign beginnings were not that of a typical American. Being the child of an inter-racial couple along with his father being a confirmed Marxist shaped him into being un-American . Obama admittedly became Saul Alinsky foot soldier in the cold war against the American way of life as a community organizer. Obama never really fit into the concept of the American Dream. Despite his peculiar upbringing, his exposure to the Leftist political types positioned him to enter the twisted and corrupt Regular Democratic Organization of Chicago. The Daley/Burke dynasty needed obedient African-Americans to sway Chicago’s Black vote to the Daley/Burke slated candidates and Obama showed some promise to deliver. Obama’s personality along with that broad smile made him useful. 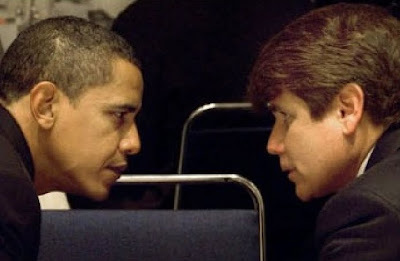 Obama made it to the inner circle and was soon up to his eyeballs with those two infamous felons, Rod “Blago” Blagojevich and Tony Rezko. Timing is everything because Obama gained absolute power over the Justice Department just in the nick of time to derail any investigation or prosecution over his own dark activities. Obama was placed in the United States Senate where he would not lay claim to a single achievement other than to prove he was Daley/Burke puppet. His career as a Senator was truly unremarkable. The fickle finger of fate pushed this relatively unknown politician into the position of being a viable Presidential candidate. The Daley/Burke machine longed for access to the Whitehouse and the opportunity for unlimited opportunities for enrichment. They soon called out their forces and thrust this gangly young stranger into the limelight. Being an unknown candidate has its advantages especially if he or she seems likable. A history of public policy crafting always works against a candidate depending on his or her political directions. Obama had no baggage in that regard and the uninformed voters demonstrated their enlightened racial tolerance as they made a choice between an aging liberal running as a Republican and a more vibrant appearing unknown claiming to be Democrat. The George W. Bush Presidency was a real disappointment for Americans. He got us mired into two never ending wars. Bush also drove us into massive debt. Bush along with his father brought sad chapters to America’s history. America wanted change, not Socialism but a new direction away from the wars and massive debt. They trusted a stranger with this task and elected Barack Obama. Obama’s first two years came with the gift of a Congress bloated with a Leftist majority. They gave the stranger blank checks he began to write. The problem is all those check were written against an overdrawn account. Far too many Americans can’t seem to understand that we jail people that insist upon engaging in that kind of behavior. The mid-term election came along with question from the new Congress. Thankfully the Tea Party emerged and slowed down the Obama force march to Socialism. The courts have now ruled Obama’s greatest achievement, Obamacare as Unconstitutional. This is solid evidence that the politicians pushing the new law had placed their Socialist leanings before their oaths to defend and protect our Constitution. At some point we call this kind of political action Treason. Today all Obama has to show for his efforts is bailed out Wall Street criminals, failed auto makers and crooked banks. It’s fair to say we aren’t even close to determining what that massive multi-trillion dollar debt will total. The most troubling Obama Administration effort of all was the creation of a carnage crisis for the governments of Mexico and several Central American neighbors. This was an effort to enable mass murder in order to use this manufactured horror for a misguided propaganda effort to shape public policy. In the zeal against our second Amendment Obama and his henchmen set out to demonize American gun rights. They knowing used “stimulus” taxpayer funds in a scheme to deliver thousands of firearms to violent gangs and cartels south of our border. They somehow convinced some gun dealers to go along with the sale of guns to felons who were delivering the weapons to some of most notorious criminals on earth. The results were predictable. The most troubling aspect of this case is anyone that knowing provides a weapon to a criminal and then the criminal uses the weapon in a murder is also guilty of murder. Aside from countless foreigners being murdered we have two dead American law enforcement agents. The Obama Administration claims of incompetence and ignorance are hardly a valid excuse. We have executed may criminals for this exact conduct. Many Democrats and Independents that supported Obama are now suffering from a painful bout of Buyer’s Remorse. Understandably they want to distance themselves from Obama and his failures. They’re now all wondering why they passed over Hillary Clinton to support this stranger that became a massive disappointment. Obama’s earliest detractors called him an empty suit. In hindsight that moniker was much too kind.